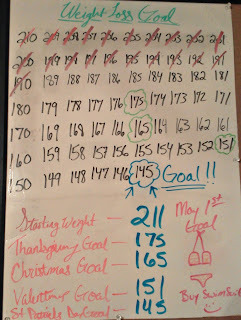 Well today was AWESOME as far as keeping track of everything I ate and my excercise. I made something to put up on the wall in the dining room. Its hanging across from where I sit.I know most of you wouldn't hang this on your wall for all to see sticking out like a sore thumb but I want to see it every time I sit down to eat. Its poster size so its not like I can miss it. I want anyone to see it when they come over to know that I am serious this time. I want it staring me down if I REALLLY want that cookie. I set goals that I will strive to meet - If i dont I wont cry about it but it will make me stop and re-evaluate what I am doing wrong and try and adjust. 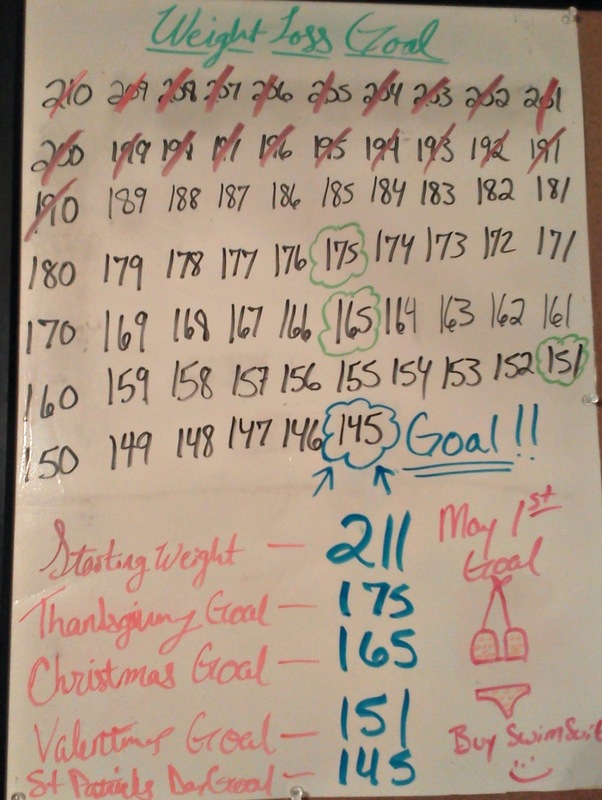 I am just going to take it one day at a time and see how far I can get!